The Duke and Duchess of Cambridge traveled to Northern Ireland on Monday, where they attended a garden party at Hillsborough Castle. 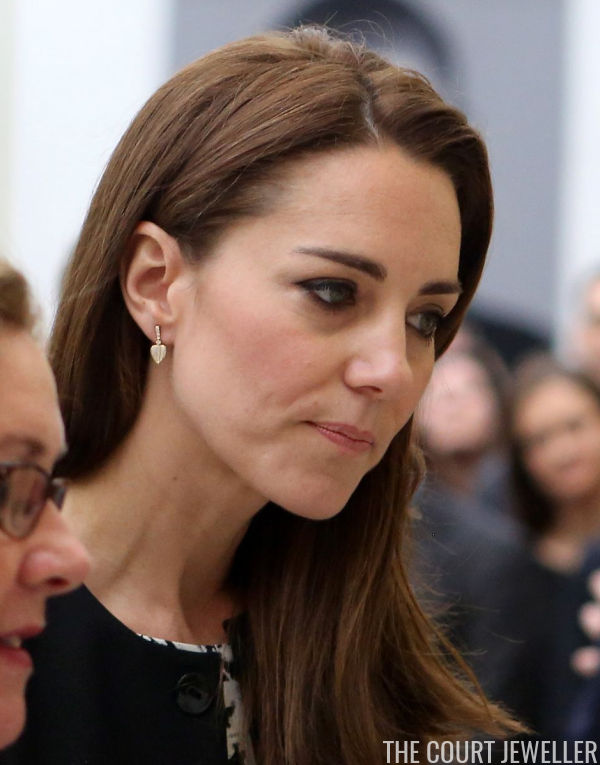 Kate wore two familiar pieces of jewelry, but she also debuted yet another new pair of earrings. William and Kate actualy began their day at the US Embassy in London, where they signed a book of condolence for the victims of the Orlando shooting massacre. 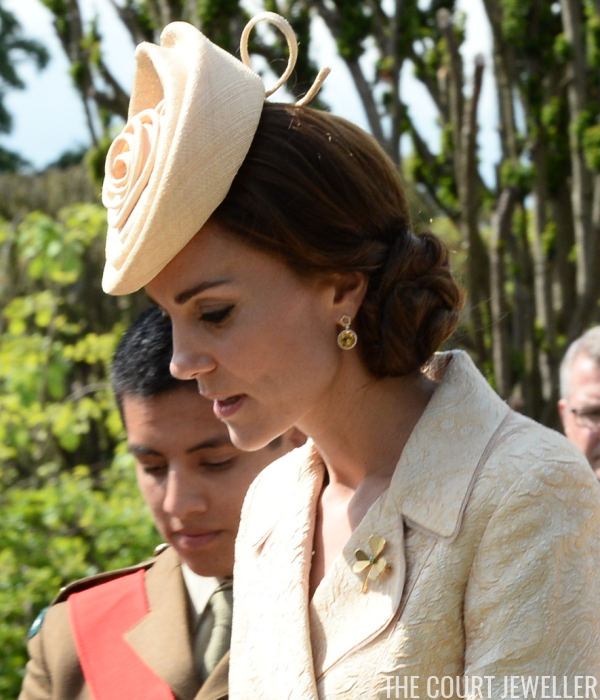 Kate wore her "Lauren" earrings by Kiki McDonough. And then the Cambridges headed to Belfast and the Secretary of State for Northern Ireland's Garden Party at Hillsborough. 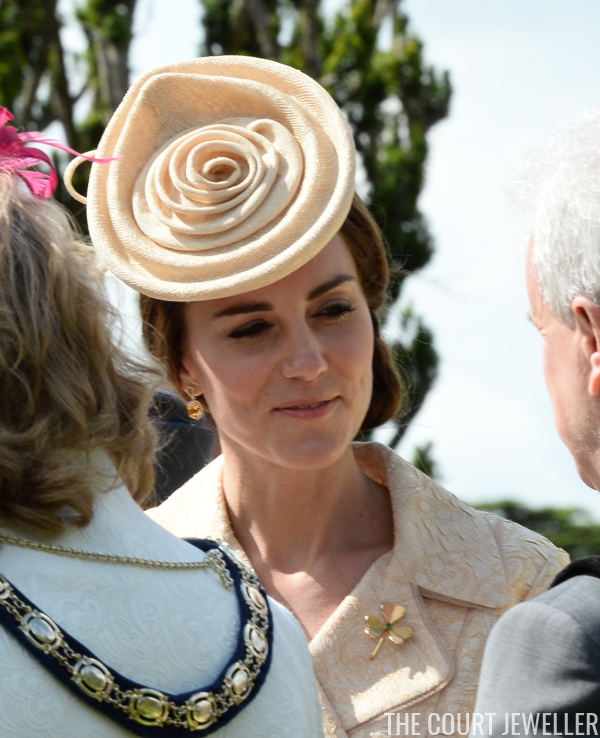 Kate wore a new pair of Kiki McDonough earrings: the Eden Diamond Flower and Citrine Drop Earrings. A similar pair with lemon quartz drops retailed on the firm's website for £2,900. 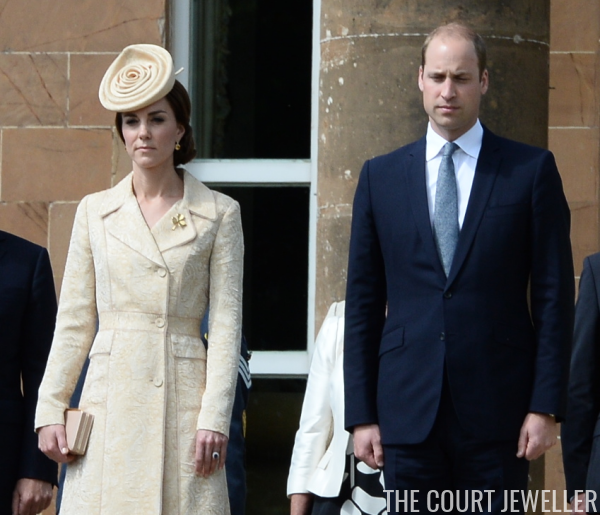 Kate also wore the gold and emerald Irish Guards Shamrock Brooch pinned to her lapel. And here's one more view of both the brooch and the earrings. What do you think of these new Kiki additions?